Outline of the watershed above Seaman Reservoir via CoCoRaHS and the Colorado Climate Center. The Seaman Fire is pinned near the S. side. 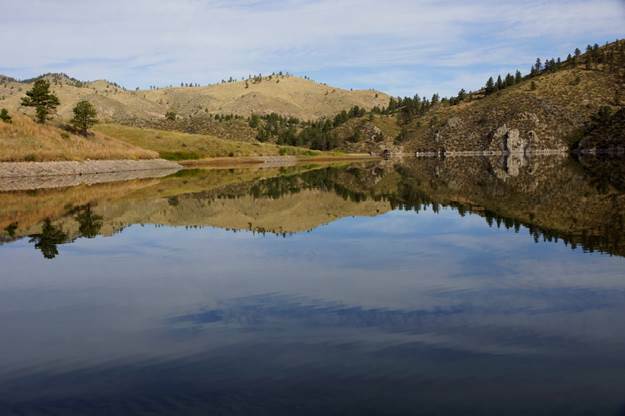 Yes, but just over the hill puts it into another watershed of the main branch of the Poudre. 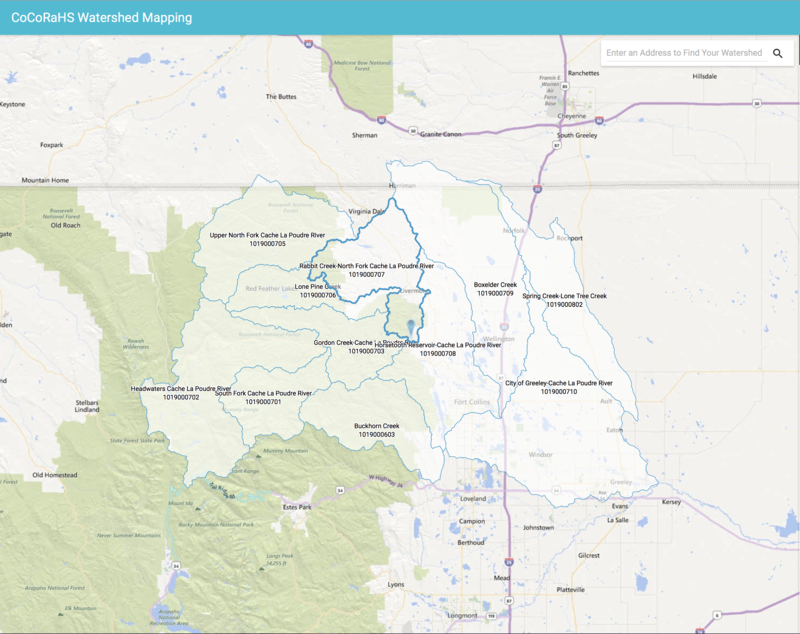 Check out the CoCoRaHS watershed map to see how Seaman is in the HUC [watershed] for Rabbit Creek –North Fork Cache La Poudre and just south of the reservoir – up the hillside – is the Gordon Creek-Cache La Poudre River.